Chances are your corporate IT policy dictates which browser you use on your laptop or desktop. On your iPhone, though, you may be free to choose a more exotic browser. 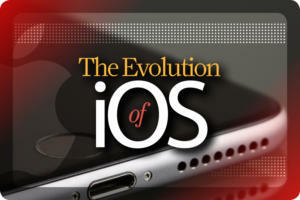 So we've rounded up 11 Safari alternatives – some talkative, some secretive – for Apple's iOS. Just remember that, although you can install as many browsers as you like on your iPhone, there's no way to change the default browser in iOS. When you tap on a link in an email or a social networking app, it's always Safari that's going to open it. Apple also requires developers to use the same Webkit rendering engine as Safari to display web pages on screen, so iOS web browsers are really all just Webkit in a different wrapper. Check out how different some of these wrappers are. 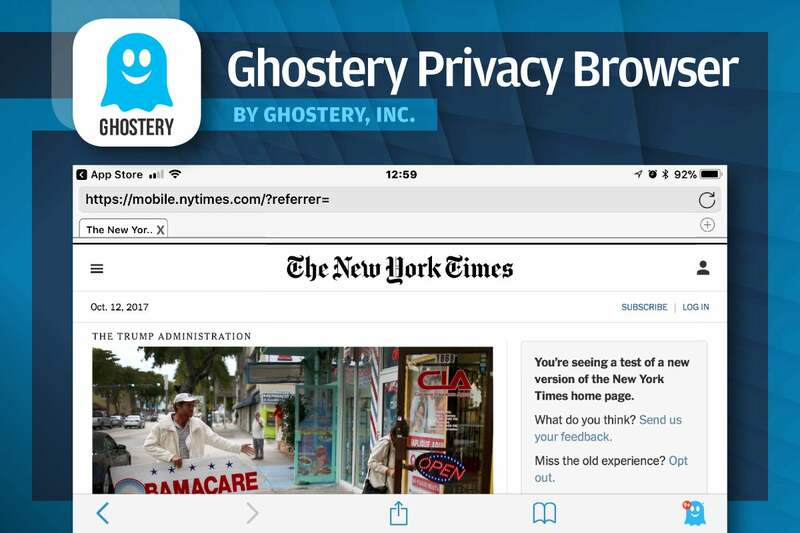 Ghostery started life as a privacy-protecting extension for desktop browsers. 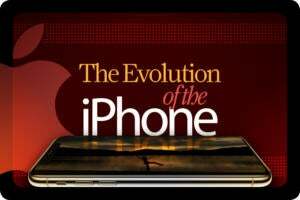 On the iPhone, its developers decided to present it as a browser. At its heart is a tracker blocker, a tool that prevents advertising and audience measurement networks from profiling you as you move around the web. Ghostery makes it easy to prevent certain services from following you, or to turn off all the trackers it knows about. It also has a nifty experimental feature called Wi-Fi Protection that uses Ghostery's VPN servers to filter and block trackers in other applications, not just the Ghostery browser – as long as you're connected to a Wi-Fi base station and have turned on protection for it. 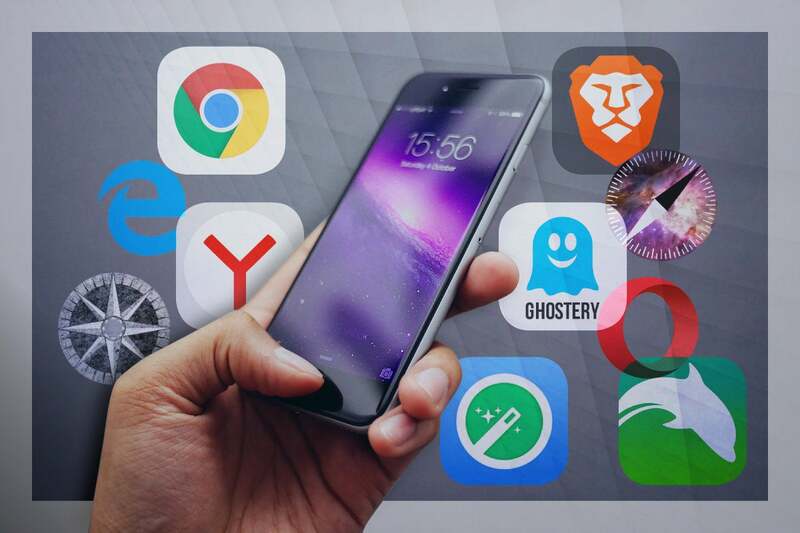 Ghostery Privacy Browser is free, and runs on iOS 8.0 and higher on iPhone, iPad or iPod Touch. 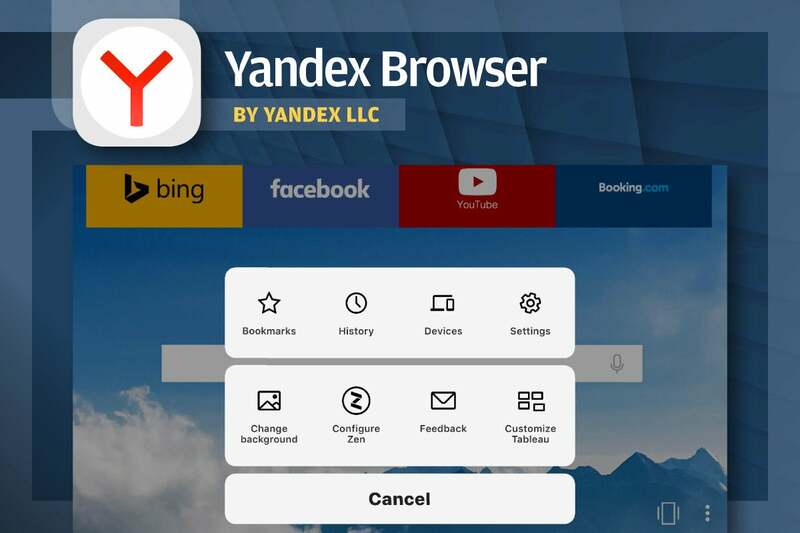 Yandex is Russia's answer to Google, and its browser draws deeply on the search engine's technology to power its stand-out features. 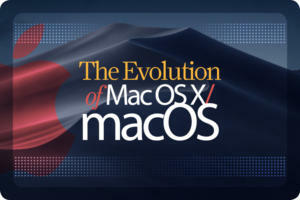 These include buttons on the launch page that take you straight to your favorite sites, and a "turbo mode" that accelerates downloads over slow connections by compressing data and downscaling images before they are sent. Its most unusual function is Zen, a bottomless news feed that adapts to your interests. Yandex Browser is free, and runs on iOS 7.0 and higher on iPhone or iPad. Tor, formerly The Onion Router, is a distributed system for anonymizing internet traffic. Onion Browser bakes Tor into an iOS browser, ensuring your ISP can't see what you're browsing, and websites can't see your IP address. They'll still know who you are if you log in with Facebook Connect, though…. This is the original Onion Browser, developed by Mike Tigas. It's open source, so there are numerous clones, some of which you pay for. It's not always clear what advantages, if any, the others bring, so choose carefully. This one used to be a paid app, but since 2016 it is free. Onion Browser runs on iOS 8.2 or later, on iPhone, iPad, and iPod touch. Opera Mini was originally developed to cut data usage and speed page loading on feature phones and low-end smartphones, but iPhone owners can appreciate its speed and efficiency, too. 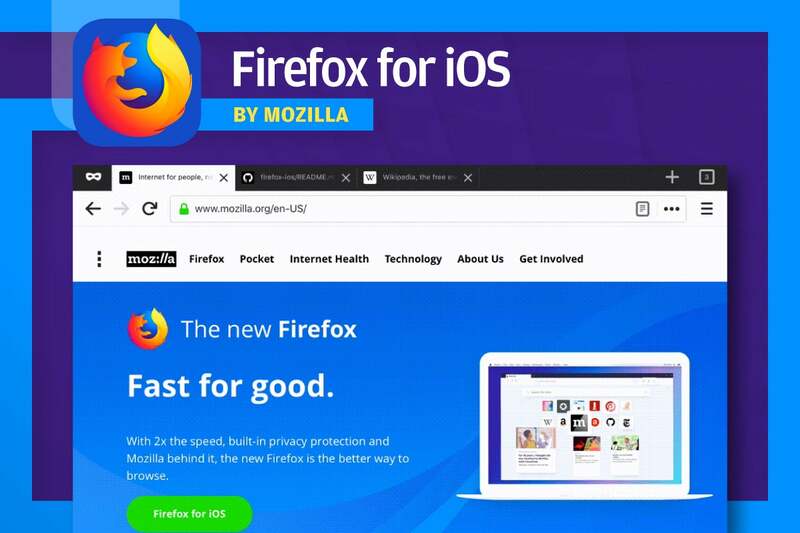 In addition to its compression function, which uses a web proxy run by Opera, the browser also includes an ad blocker and a night-time mode to reduce brightness while browsing in the dark. 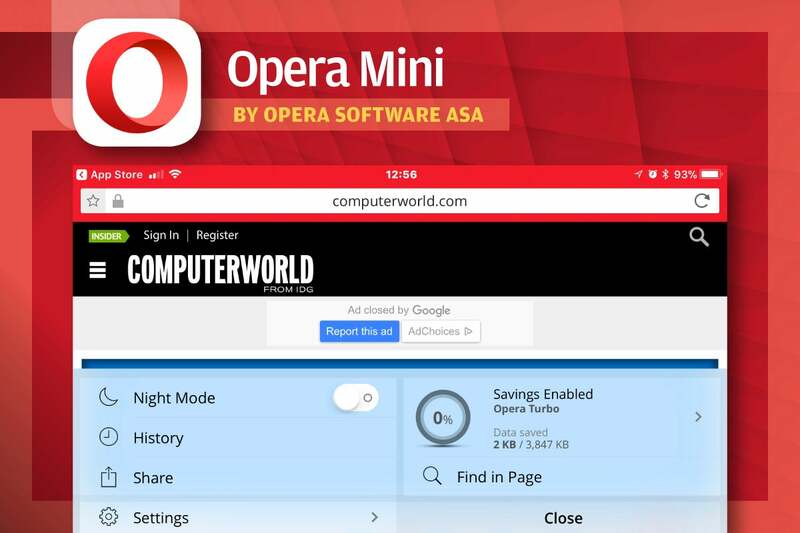 Opera Mini is free, and runs on iOS 9.0 or later on iPhone or iPad. Google Chrome might be the most popular mobile browser overall, but that's mostly due to Android's dominance in the smartphone market: On iPhones, it comes in as a distant second to Apple's own Safari, which makes it pretty exotic. If you also use Chrome on your desktop or laptop, you can sync bookmarks and recently visited sites via your Google account, replicating Safari's Handoff feature. There's also one-touch access to Google Translate, voice search using Google rather than Siri, and a handy QR-code scanner above the virtual keyboard. Its "Incognito" mode doesn't send cookies or store browser history. 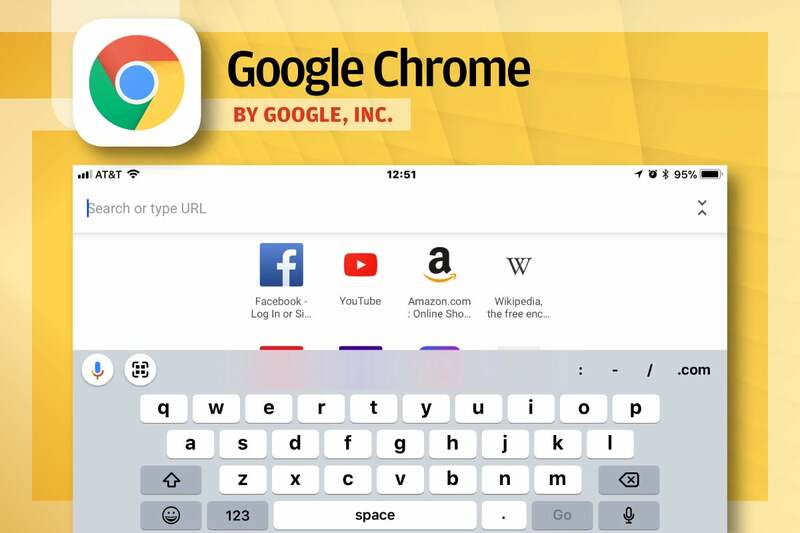 Google Chrome is free and runs on iOS 9.0 and higher on iPhone or iPad. Brave isn't just trying to change browsing, it's trying to change publishing. It's big on privacy and security, enforcing HTTPS Everywhere and blocking scripts, pop-ups, third-party cookies, ads and trackers. Having done away with ads, though, it offers a new way of funding websites: the Basic Attention Token (BAT). 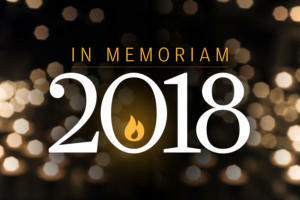 Users can make a monthly payment to Brave to buy a number of BATs, which are then redistributed among all the websites participating in the program. The payout websites receive is determined by the generosity and frequency of their visitors. 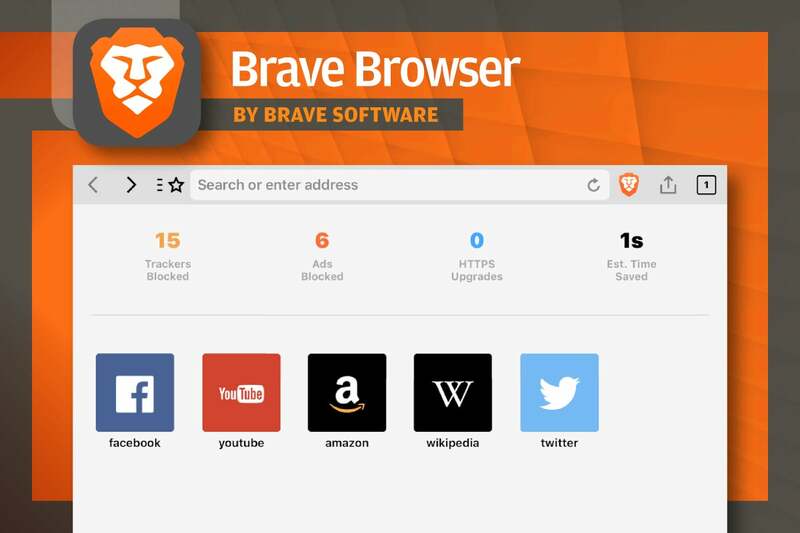 Brave Browser is free, and runs on iOS 9.0 or later on iPhone, iPad or iPod touch. Ulli's developer, Biggerpan, says it uses artificial intelligence to help people that don't quite know what they want. Tapping Ulli's Magic Button while reading a web page will bring up a list of suggestions for what to read next. Imagine you're reading about a new film: the Magic Button might offer you a trailer, a review, or the opportunity to buy tickets at local theaters. If you choose to buy tickets, its next suggestions might be to view a map, book a ride, or find local restaurants. Once you've chosen one, it might suggest booking a table. That sequence of desires is not so hard to predict; It will be interesting to see what next steps it recommends to people seeking help on StackExchange or filing a report in Bugzilla. Ulli is free, and runs on iOS 9.0 or later on iPad, iPhone and iPod touch. 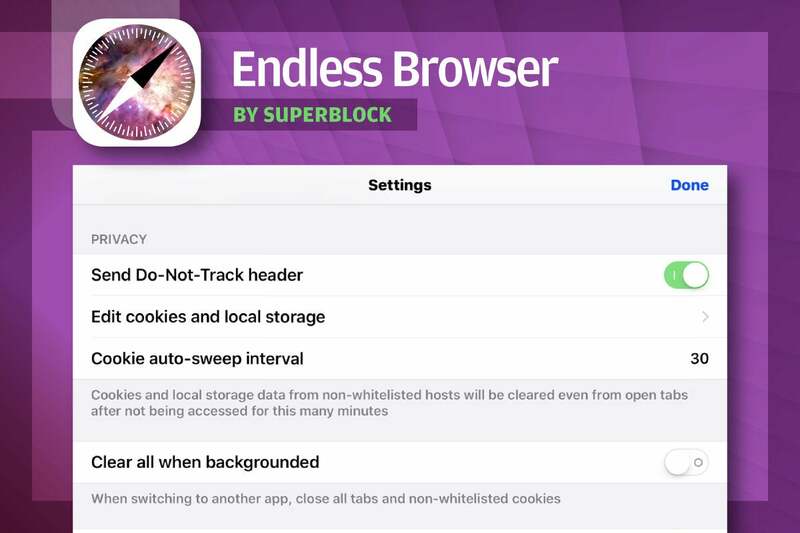 This browser has one of the longest features of any of the mobile browsers. You can tell Dolphin where you want to go by tapping on one of its speed-dial buttons, selecting a destination from the bookmarks, history or open tabs it has synchronized with your PC, or typing its address. 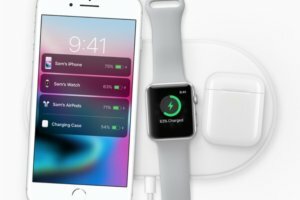 You can also use touch gestures to select favorite destinations, perhaps tracing a C for Computerworld.com and, if that's not enough, with the 99-cent Dolphin Sonar add-on you can control the browser by shaking your phone or speaking to it. 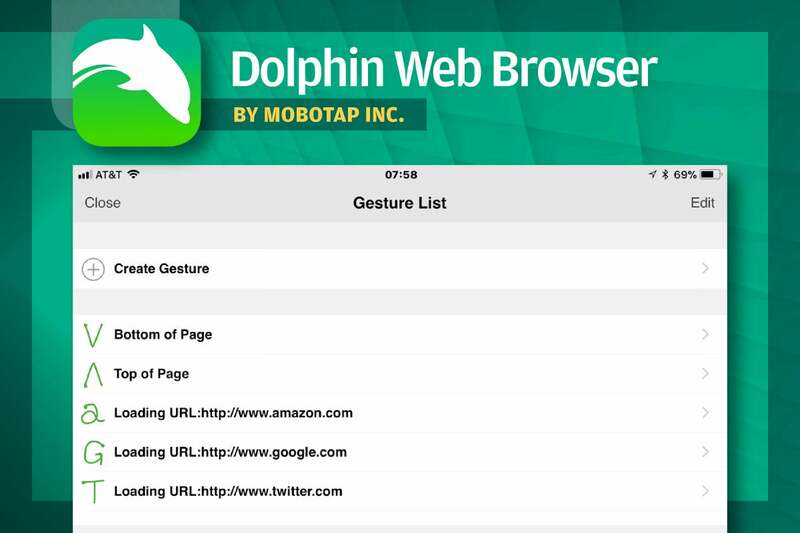 Dolphin Web Browser is free, and will run on iOS 7.0 and up on iPhone, iPad or iPod touch. Yes, the Microsoft browser that hardly anyone uses on Windows is coming to iOS, too. The key feature Microsoft promises is Continue on PC, a kind of Handoff for Windows PCs. With it you can begin reading a web page or filling in a form in Edge on your iPhone, and finish the task in Edge on a PC running the Windows 10 Fall Creators Update. Edge will sync favorites and passwords between all your devices logged into Microsoft's cloud servers. And finally, Microsoft says it will have a built-in QR code scanner, voice search (presumably using Cortana, which is already available on iOS) and a mode it calls InPrivate to keep your browsing data private. 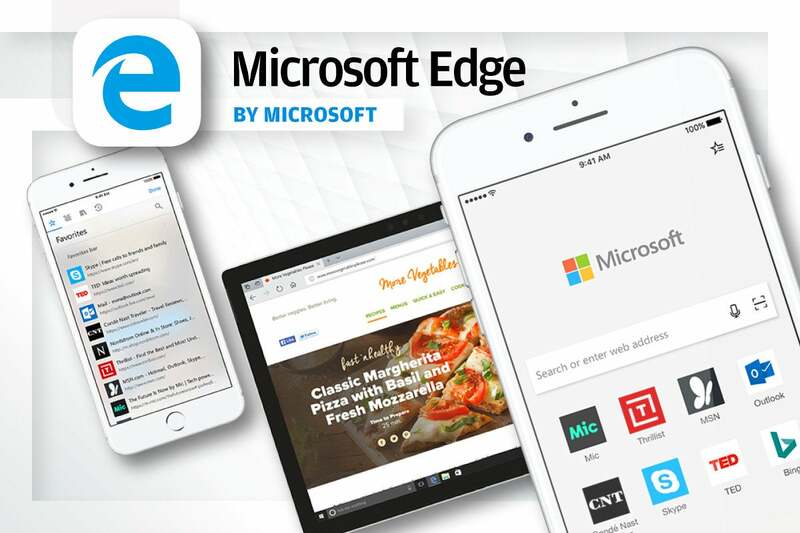 In October 2017, Microsoft Edge for iOS was released as a beta. It's now available in Apple's App store.